When you have a busy office that undertakes a wide range of work, it may be that you need more than just a printer. The Ricoh Aficio SP5210S is a four in one device, which means that you can print, copy, scan and fax, which is something that will appeal to many companies. If you are looking for functionality in the workplace, why not choose a brand that can be trusted and relied upon. The copy resolution of the Ricoh Aficio SP5210S is 600 x 600 dpi, which is likely to be suitable for many businesses. Of course, it is the print resolution that is of greater interest to most firms, and this comes in at 1200 x 600 dpi and there is a print speed of up to 52 pages per minute, which is slightly faster than the SP-5200S model. 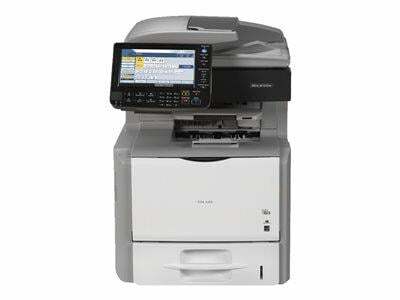 There is a stylish look to the Ricoh Aficio SP5210S, which means it will look good in any workplace. There is a very obvious and apparent advantage of a reliable four in one device, and the Ricoh Aficio SP5210S delivers to a high quality. This is a sturdy and dependable device that will give reliable service, which, when added to the workplace, makes many regular tasks easier. There is real value for money with this device and most companies could certainly justify this investment. Not every company needs a four in one device or access to the capabilities provided by this style of unit. If you only need a printer or a scanner, avoid the Ricoh SP5210S and look for an option that is better tailored towards your needs. This is a great machine but it is not a device needed or required by everyone.